Today, we are happy to announce a brand-new and open-sourced way to manage your vSphere environment. The Desired State Configuration (DSC) Resources for VMware allows partners, automation engineers, DevOps teams, and system administrators a new way to apply standard configuration management processes through PowerShell DSC and PowerCLI! Let’s take a walk through how we can get started using these DSC resources and apply our first configuration! PowerShell DSC has been out for a while, since Windows Server 2012 R2 as a matter of fact. To summarize in a single sentence: PowerShell DSC can manage and monitor a system’s configuration based on what’s known as configuration files, which happen to be written as PowerShell code. This is all made possible thanks to the Local Configuration Manager (LCM). LCM is the “engine” running locally on each of the target nodes that takes the configuration file, interprets it, and applies all the configured parts. These parts include a system’s configuration, in what manner the configuration is refreshed, and how often it is refreshed, just to name a few. The above is important because the DSC Resources for VMware operate a little differently than a standard DSC configuration. The DSC Resources for VMware make use of a proxy LCM host. This is because the LCM cannot run on the VCSA (both vCenter and PSC based appliances) nor can it run on ESXi hosts. An important note about this proxy LCM host, it has to be Windows PowerShell based. 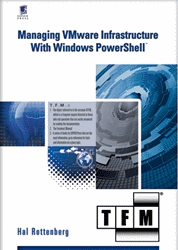 Furthermore, only PowerShell 5.1 and PowerCLI 10.1.1 or newer will be supported. # On error, the SecurityProtocol for the local PowerShell session will be updated to access TLS 1.2 and the download will be attempted again. We should now be all set to start setting up DSC resources in our environment! The DSC Resources for VMware repository has some pre-created configuration files which can be sourced to create the MOF file. The MOF file, which stands for Managed Object Format, is the output from a configuration file which has been compiled by the LCM. These configuration files are located in the repo at the following location: \Source\VMware.vSphereDSC\Configurations In my environment, I’ve created my own fork of the repository and cloned it to my local system where I’ll be referencing the files. In our example, we’re going to setup DSC to manage an ESXi host’s NTP configuration. We can see some parameters and some settings by opening the VMHostNtpSettings_Config.ps1 file that’s located in the ESXiConfigs directory. For my lab environment, I’m going to update the NtpServer values and accept the service policy setting of ‘automatic’. I’m also going to apply this configuration at the ESXi host level, so my host name and server name will match. In the above example, notice the ‘InDesiredState’ property with a value of False. In some later blog posts, we’ll take a look at some of the other areas of this module including applying configurations to multiple hosts, applying vCenter settings, applying values to multiple hosts in a vCenter, and some ways to apply better security practices to both the credentials and the MOF. 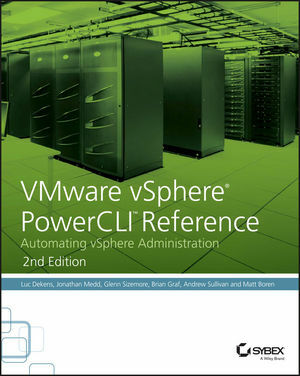 PowerCLI is back with a brand-new feature, Desired State Configuration Resources for VMware! These resources allow PowerCLI to make use of PowerShell DSC to define the configuration of a desired node. The DSC Resources for VMware can define ESXi host settings such as NTP servers, DNS servers, and TPS share scan times. We can also define vCenter settings such as statistics level and logging level. As an additional benefit, these resources are also open-source and community contributions are absolutely welcome! Check out the Desired State Configuration Resources for VMware on GitHub and let us know what you’re looking forward to using DSC on most in your vSphere environment! This entry was posted in General and tagged DSC, open source, PowerCLI, PowerShell on December 13, 2018 by Kyle Ruddy.